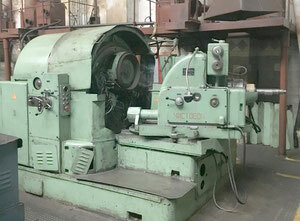 To get a better understanding of what a gear grinding machine is, first let's speak about grinding machines in general. Grinding is a process of cutting and shaping metal, which is why it belongs to the category of metal tools. In a grinding machine an abrasive wheel is used as the cutting tool. It's safe to say the principle is similar to polishing metal as each grain of abrasive cuts a small chip from the metal work piece. Grinding is mainly used to finish metal parts that must possess low surface roughness and high accuracy of shape. Process of creating a gear can in other words be described as gear grinding. Gears can be produced by various methods. Metal and plastic gears are often made by the process of injection molding or die casting. However, the majority of gears has still been manufactured with gear grinding machines. Gear grinders are finishing machines that use a grinding wheel rotating at high speed to grind the surface of the gear teeth. 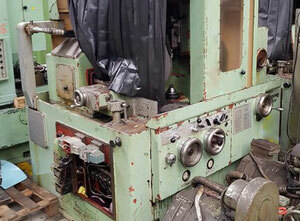 The products in the category of gear grinding machines can be divided into 2 subcategories: continuously generation grinders and profile grinders. 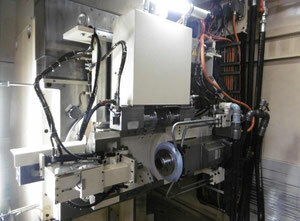 Profile grinder works the workpiece using the same profile as the gear teeth. 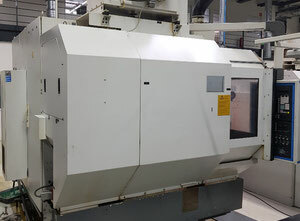 On the other hand, continuously generation grinding uses a tool with a different profile than the gear teeth and performs grinding by moving the workpiece and grinding worm relative to one another. Continuously generation grinding uses a grinding worm with multiple threads, and machining productivity can be increased by increasing the number of threads. Accordingly, continuously generation grinders are used at automotive and other mass production facilities. 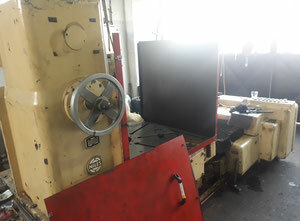 The GB150 model is a continuously generation grinder and is intended for mass production facilities. 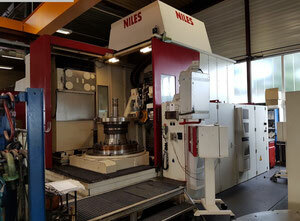 As opposed to machining centers from Metal tools category, gear grinding machines have a rather simple structure. Gear grinders consist of a table (bed) with a bracket to hold the work piece still and a power-driven grinding wheel spinning at the required speed. Spinning speed can vary depending on the diameter of a wheel as well as manufacturer's requirements. The grinding head is fully mobile and can move across the work piece. Either way, the work piece can be moved instead while the grinding head stays fixed. Both ways are acceptable and possible. 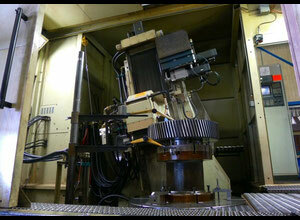 Majority of modern gear grinders have CNC feature or so called numerical control implemented. 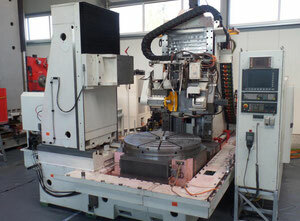 Thanks to CNC, position of grinding head or the work table can be adjusted automatically. Otherwise, on the earlier models of gear grinding machines this adjustment was calibrated by hand. Since grinding machines work with metal parts on the principal of abrasion, substantial amounts of heat are generated during the grinding process. It's critical to have equipment to cool the machine down and prevent overheating of the work piece or the mechanism as a whole. Hence, latest models of gear grinders also incorporate a coolant. Thank to the coolant gear grinder and the metal part are protected from overheating. 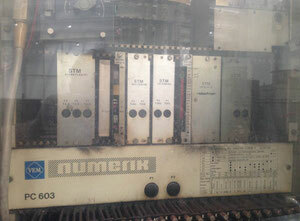 At the same time, the operator of the machine is also protected from getting burnt. 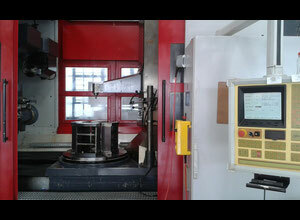 Gear grinding machines represent a priceless piece of industrial equipment for automotive industry. Gear grinders are multi-purpose machines used for the production of precision spur gears, helical gears, worms, screws and rotors. Both manual and automatic vehicle transmissions are manufactured on a gear grinding machine. 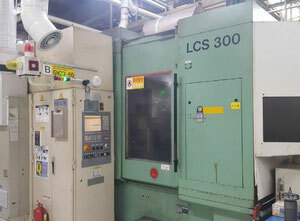 Typical applications of gear grinding machines include high-performance aerospace and automotive gears, precision motion, low noise and master gears. Speaking of the technical parameters, the main attribute of a gear grinding machine is the maximum wheel diameter which determines the maximum working diameter. The other important technical criteria is the maximum and minimum value of modul. 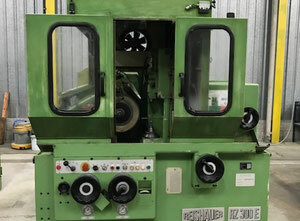 These parameters are to be taken into account before purchasing a gear grinder. 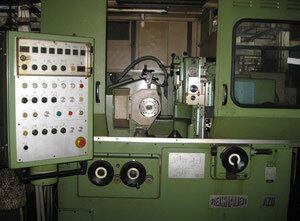 It is also crucial to reveal whether a gear grinding machine has CNC (automatic) or manual control. Kapp. 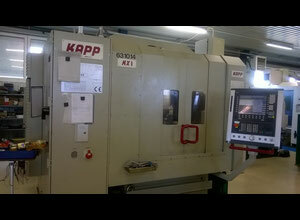 Kapp Technologies is one of the world's leading manufacturers of machine tools in general and gear grinding machines in particular. 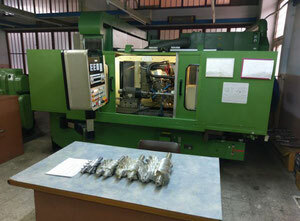 Established American manufacturer provides complete solutions for gear grinding machines including software and hardware. Höfler. German manufacturer of gear grinding and gear hobbing machines globally renowned for quality and innovation. Gear grinders have been the main focus of the company for decades. Nowadays, Höfler production line contains some of the most advanced gear grinding machines currently available on the market. Gleason Pfauter. American manufacturer with a century long tradition is a global leader in the field of gear grinding solutions. 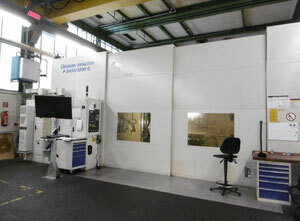 Gleason Pfauter portfolio of products and services includes machinery for the production, finishing and testing of gears together with the worldwide customer and service support.